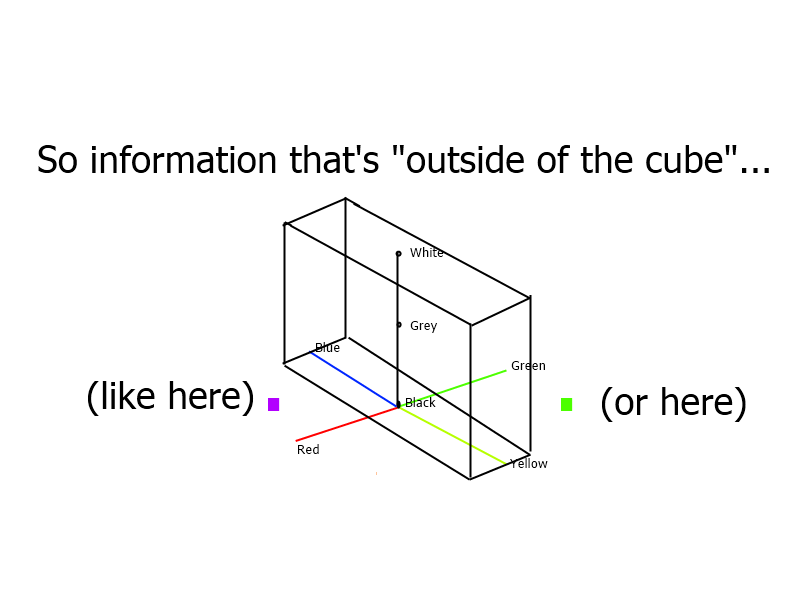 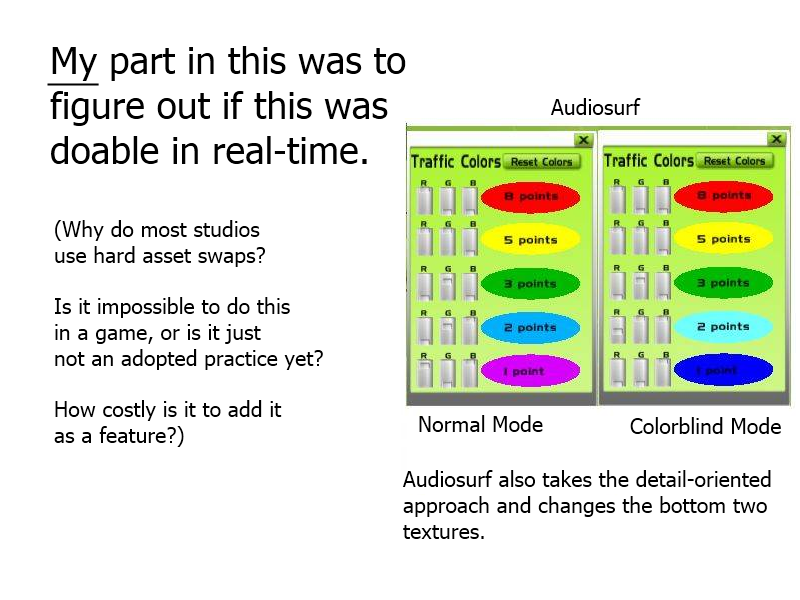 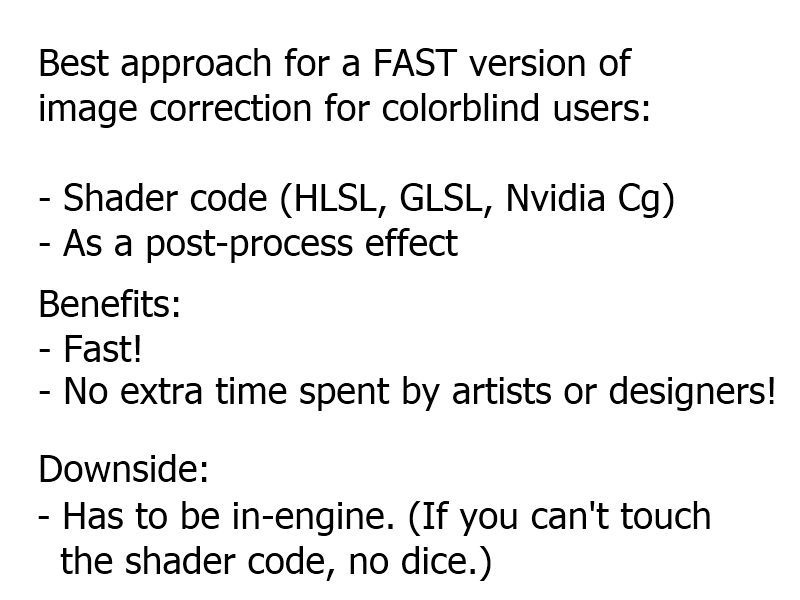 Most games with a “colorblind mode” swap hard assets – meshes, textures, etc. 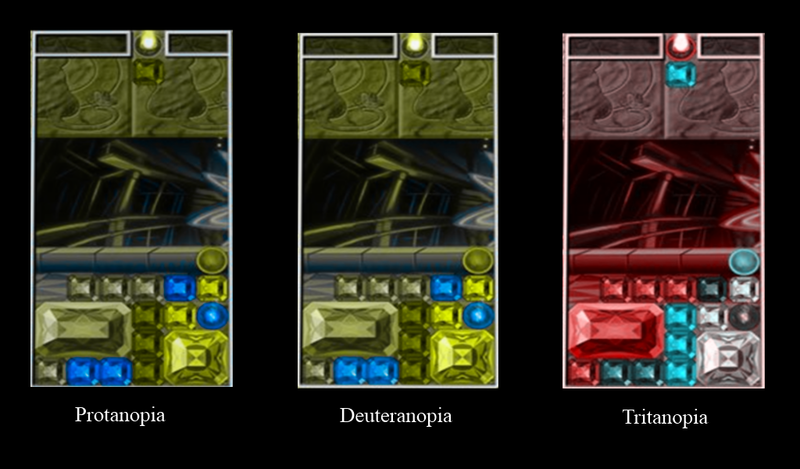 Development finished! 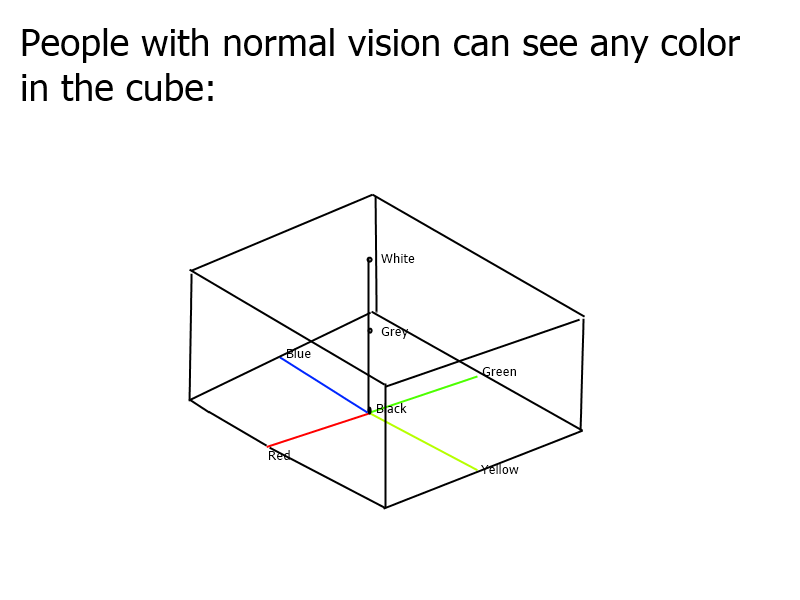 Results and paper are available here. 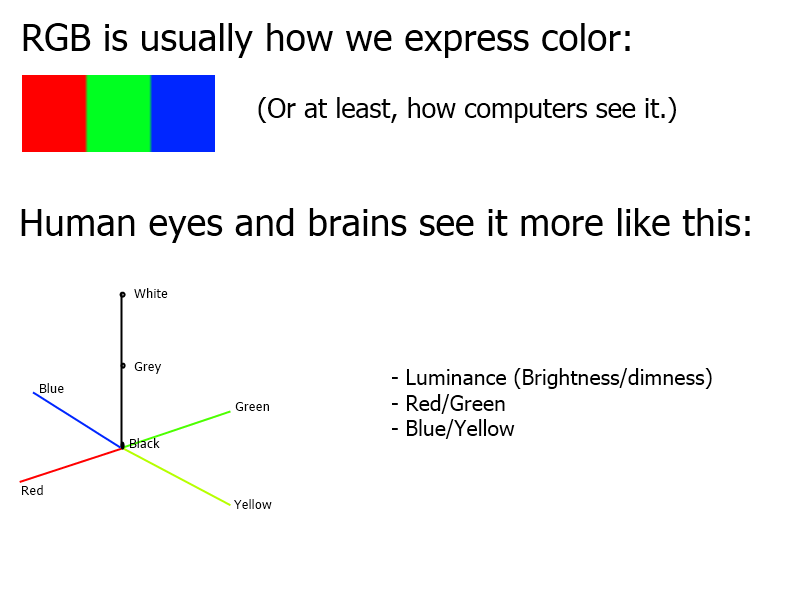 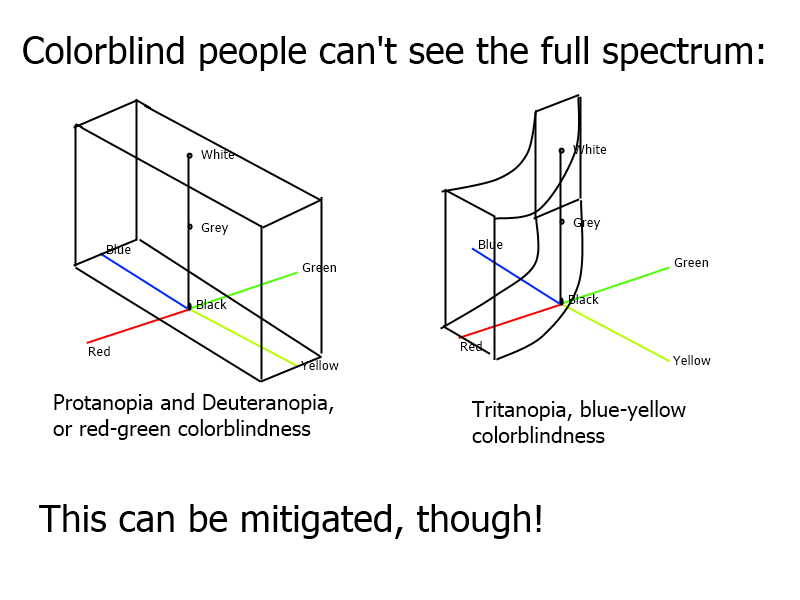 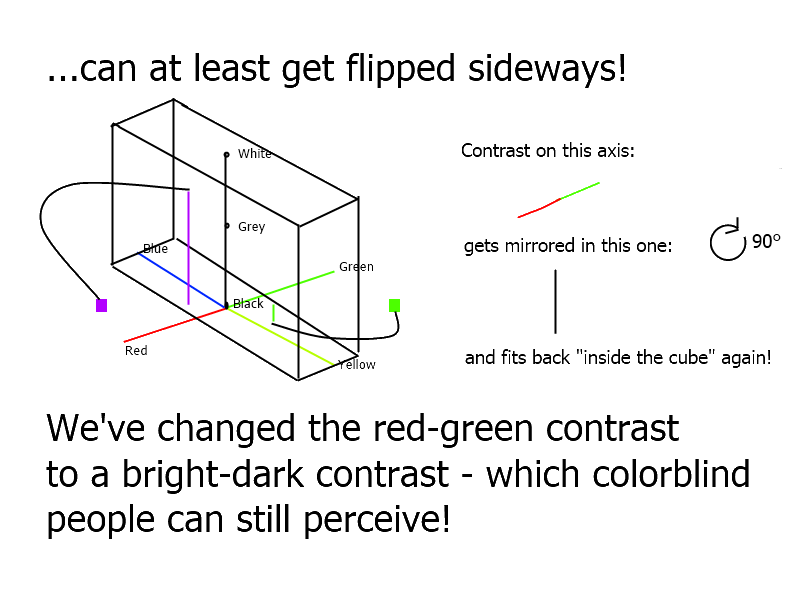 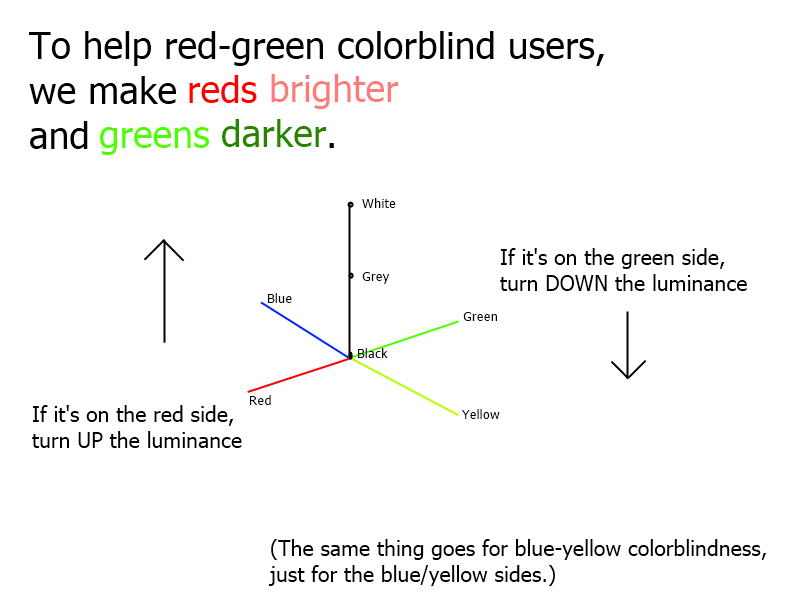 Types of colorblindness and how they impair gameplay – only three distinguishable colors instead of four. 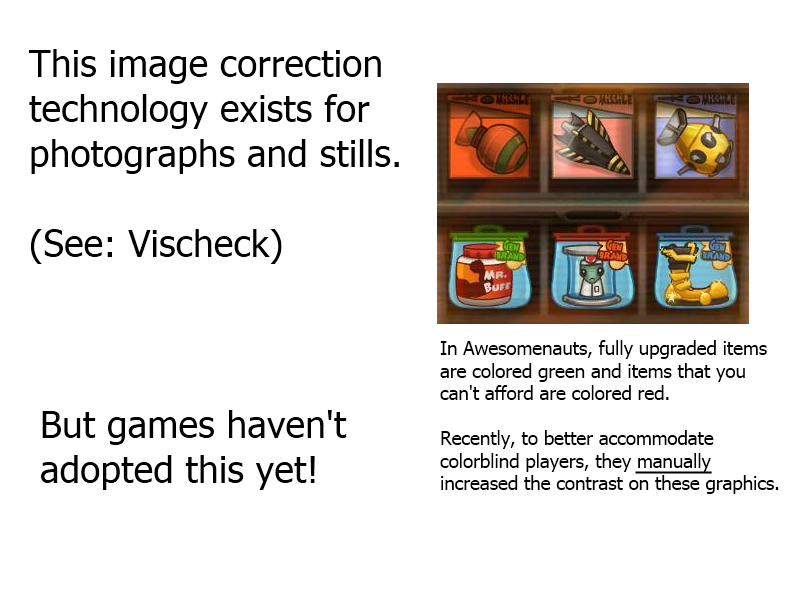 Compare with the corrected versions below.